Above, a chinoiserie mirror in white adds graphic punch to this space byÂ Sam Allen, whileÂ a chinoiserie cabinet brings an elegant feel to Chloe Warner’s design. Chinoiserie has always been popular among collectors, as well as designers who want to add a little worldlyÂ (or vintage) flair to a space. But, many of us hear the phrase without knowing what the term means. 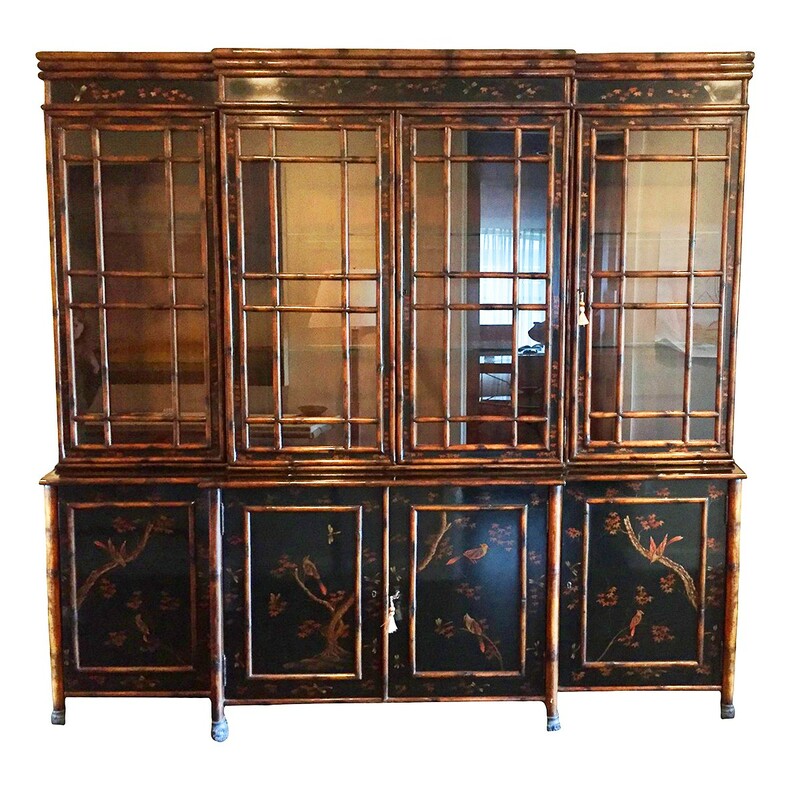 A striking example of the chinoiserie style, this armoire features stunning drawings on its paneled doors, top, and trim. With bamboo design legs, this piece can be separated in two to use as a display case (top) and as a sideboard (bottom). The top features an interior light. 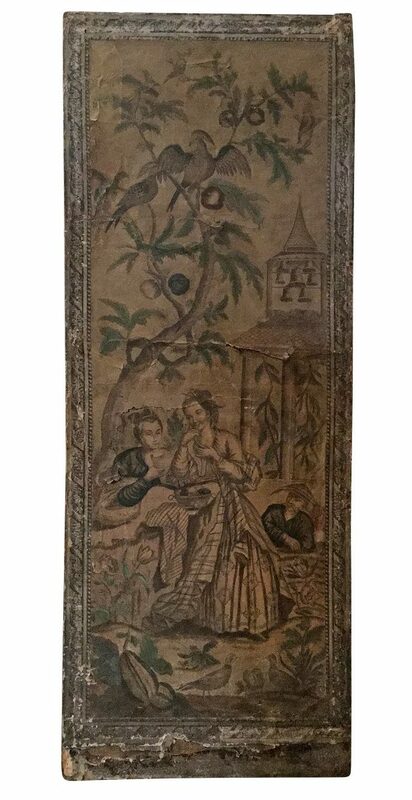 This beautiful panel depicts two French women sitting in a Chinese garden. Hand-painted and finely detailed, this stunning antique find is on a wooden stretcher, which allows it to be hung or leaned against a wall. 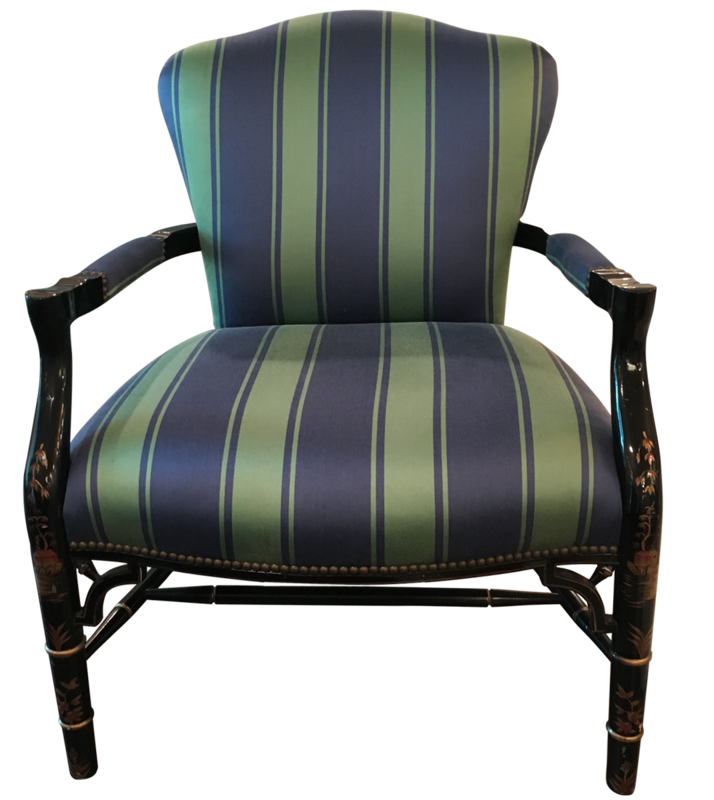 This armchair has a pretty striped fabric in blue and green. The lacquered arms feature a bamboo-look design and whimsical painted details. 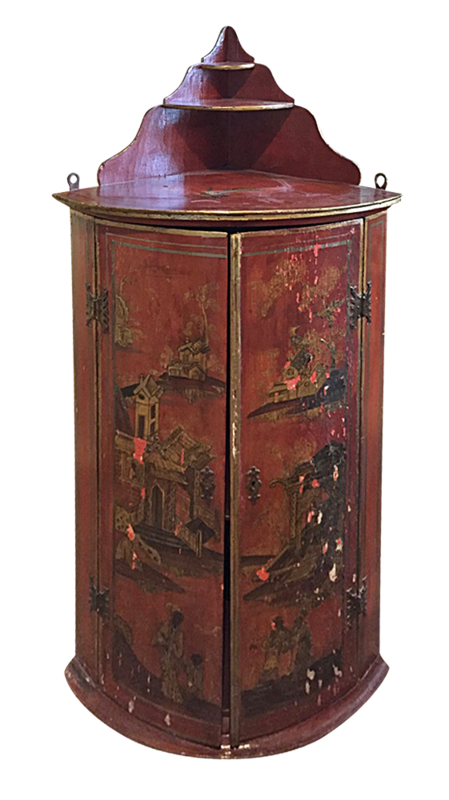 Storage is so stylish with this charming cabinet, which is detailed with chinoiserie pictures all over the outside. Inside, you’ll findÂ two drawers and three shelves. This piece also can stand alone or be wall-mounted. 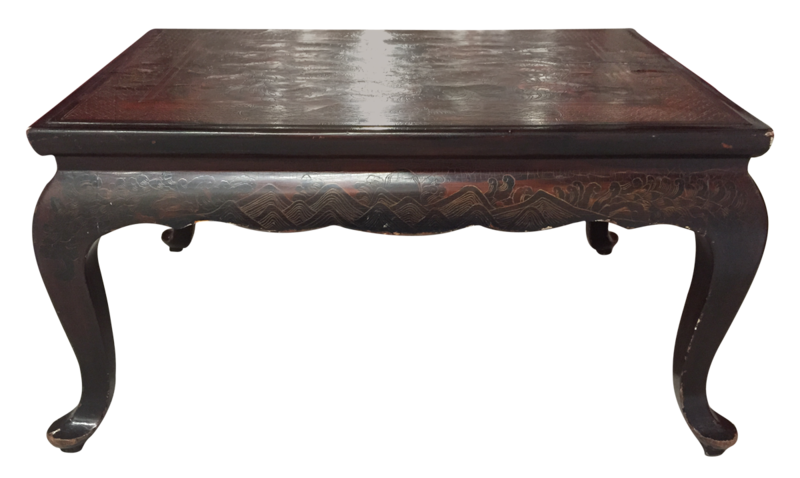 A striking example of the European interpretation of Chinese style, this lacquer-finish table has curved legs that give the piece aÂ gracefulÂ shape. The top features Chinese floral garden scenes and the sides are carved in a geometric pattern. Elegance meets the unexpected in this custom design, which makes a regalÂ statement. 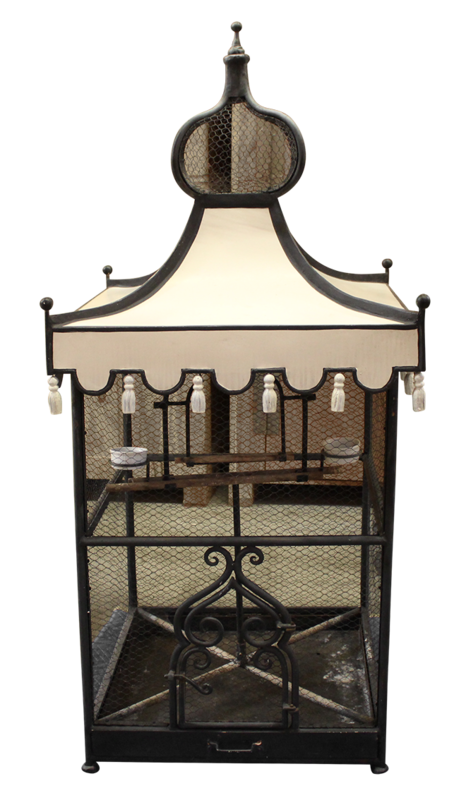 At a commanding 67″ in height, this is a birdcage fit for the grandest of interiors (not to mention the grandest of birds). 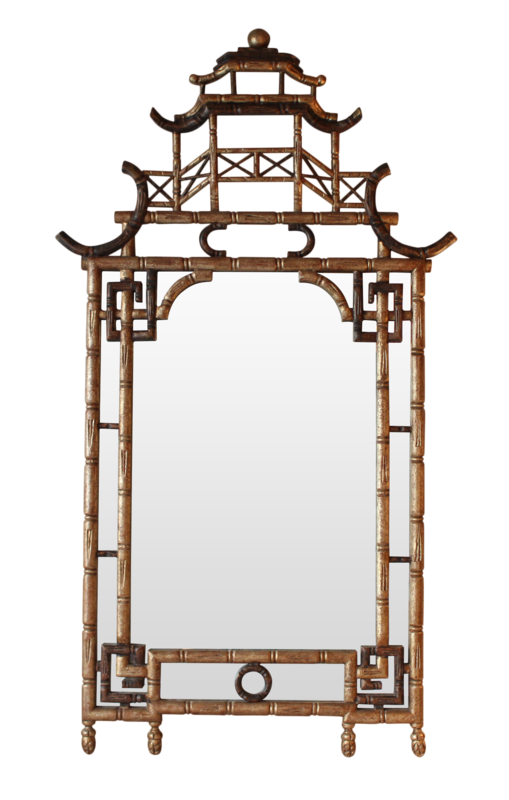 With its bamboo-like wood frame that takes the form of a pagoda, this mirror from Woodson and Rummerfield’s award-winning house of design certainlyÂ makes a statement. 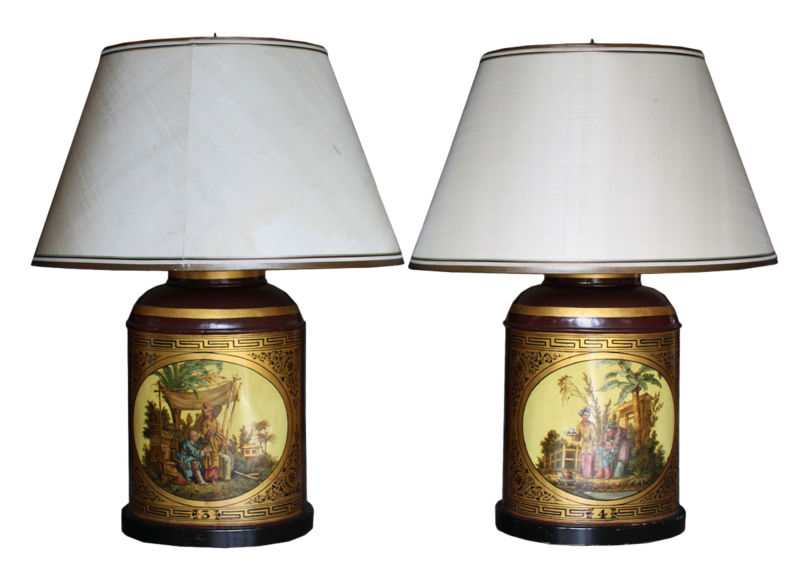 A Greek key motif draws the eye around the exquisitely painted scenes that grace each lamp’s base. This blend of styles is theÂ perfect example of how a piece that can be called “chinoiserie” can actuallyÂ encompassÂ a surprising array of influences. Yet, as you can see in these lamps, the mix of motifs work so gracefully together.